This past Fourth of July weekend, a 38-year-old water-skier sustained serious leg injuries when he was struck by the propeller of a recreational boat in New Hampshire. He was transported via life flight to Maine Medical Center, though there is no further information on his condition. His cousin was found to be intoxicated and has been arrested and charged for this drunk boating accident. Boaters need to take particular care when water-skiers are present on the water. Drunk boating is never acceptable, nor is it legal. However, when you put water-skiers together on the water with intoxicated boaters, you have a recipe for disaster. The legal limit for boat operators is .08 in every state. Though it’s better not to risk it, so always boat sober. Additionally, boaters should always keep an eye on water-skiers and give them a wide berth to create extra maneuvering room. Display an orange flag on your boat if you spot a water-skier. This will alert other boaters in the area that a water-skier is nearby and will communicate that they should proceed with caution. Water-skiing and boating should be fun recreational water sport. However, because water-skiers are so exposed, it is up to the water-skier, his or her boat operator and boaters nearby to protect them from injury. 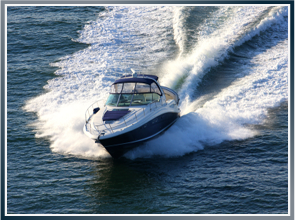 The experienced maritime attorneys at Latti & Anderson LLP have a history of representing people injured by recreational boating, particularly victims who have sustained injuries in a drunk boating accident. This includes instances where the victim is struck by the boat’s propeller, causing brain injuries, leg injuries and even death. Previous Have You Seen the New Bedford Fishing Monument? Next Can This Injured Fisherman Hold the Coast Guard Responsible for His Injuries?